7 Iconic Texas Locations Made Famous By Richard Linklater's "Boyhood"
Texas is well-known for its rich film heritage. The Lone Star State has hosted many feature films and television series within the past century. To celebrate the state's filmmaking legacy, the Texas Film Commission recently launches "a curated series of self-guided Texas Film Trails" featuring Texas locations used in iconic films. Born in Houston in 1960, Linklater dropped out of high school to work on an offshore oil rig in the Gulf of Mexico. Upon his return, he bought a Super-8 camera, a projector, some editing equipment, and moved to Austin to study film at the Austin Community College in the fall of 1984. In 1985, he started the Austin Film Society with fellow filmmaker Lee Daniel. Linklater went on to create Detour Filmproduction (an homage to Edgar G. Ulmer's low budget film noir movement in 1945) and wrote and directed his first major feature film Slacker for only $23,000. (The movie eventually grossed more than $1.25 million.) A film about a day-in-the-life of random eccentric Austin residents, Slacker was filmed entirely in Austin. Linklater's second film Dazed and Confused, based on his experience as a student at Huntsville High School, was a critic darling. In 1995, he co-wrote and directed Before Sunrise (one of my favorite movies of all time), starring Ethan Hawke and Julie Delpy and filmed in Vienna, Austria. Before Sunrise was followed by Before Sunset (2004) and Before Midnight (2013). In spite of his long and successful filmmaking career, Linklater doesn't live in Hollywood. Instead, he chooses Austin as his home base and often showcases his home state of Texas as iconic backdrop and source of inspiration for his films. Through his movies, the beauty of Texas shines through - from the breathtaking vistas of the Greater Big Bend region, to the cultural landmarks of Central Texas, and to the quaint small towns of the East Texas Piney Woods. In honor of Richard Linklater’s films and his commitment to the state, the Texas Film Commission inaugurates its Texas Film Trails program with the Richard Linklater Texas Film Trail which features 16 film locations from some of his most iconic movies. The Richard Linklater Texas Film Trail showcases locations from Bernie (2011), Boyhood (2014), Dazed and Confused (1993), Everybody Wants Some (2016), The Newton Boys (1998), Slacker (1991), and The Waking Life (2001). The map of the Richard Linklater Texas Film Trail, launched by the Texas Film Commission. 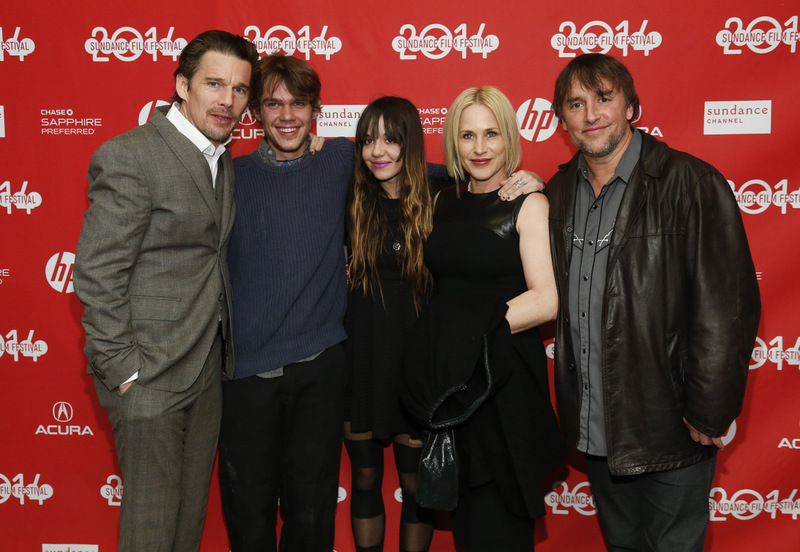 From the Richard Linklater Texas Film Trail, LocationsHub is proud to share seven film locations of Boyhood, one of our favorite movies this decade. As the largest state park in Texas and over 300,000 acres in size, Big Bend Ranch State Park is located next to Big Bend National Park on the Rio Grande in Brewster County and Presidio County. The nearest major town to the park is Presidio, home of the park's headquarter. Big Bend Ranch State Park is so remote, it seems worlds away from civilization. The park has rugged mountains, steep canyons, amazing night sky views, and deserts. It's no wonder why filmmakers love using the park as jaw-dropping backdrops for their productions. Screenshot of Mason (Ellar Coltrane) and his friend in one of the final scenes from Boyhood filmed at Big Bend Ranch State Park. The final scenes of Boyhood were shot at "The Hoodoos" in Big Bend Ranch State Park where Mason (Ellar Coltrane) and his friends go for a hike and enjoy the sunset. If you'd like to follow their footsteps, the Hoodoos Trail is on the banks of the Rio Grande River, clearly marked and easily accessible by car from the south side of State Highway FM 170. The Cockrell Butterfly Center at the Houston Museum of Natural Science is a living butterfly exhibit featuring live butterflies in a rainforest setting. There are at least 50 to 60 different species of the world's largest and most magnificent butterfly species fluttering about here. Screenshot from Boyhood of a scene filmed at the Cockrell Butterfly Center featuring Mason Sr. (Ethan Hawke), Mason Jr. (Ellar Coltrane) and Samantha (Lorelei Linklater). In Boyhood, Mason Sr. (Ethan Hawke) takes Mason Jr. (Ellar Coltrane) and Samantha (Lorelei Linklater) on a fun adventure visiting various Downtown Houston attractions, starting with the Cockrell Butterfly Center at the Houston Museum of Natural Science. The Dart Bowl & Cafe in Austin, one of the film locations of Boyhood. Image via Google. Dart Bowl & Cafe is more than a bowling alley. It's an iconic Austin institution being in business for over 56 years. Screenshot from Boyhood of a scene filmed on location at the Dart Bowl & Cafe. 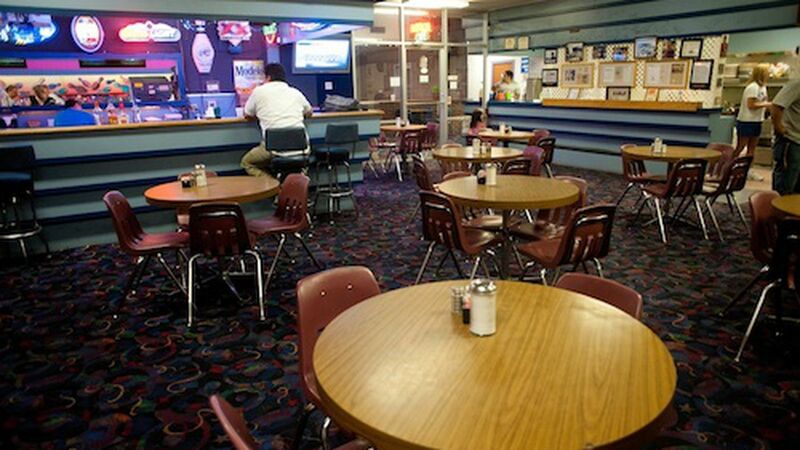 Famous for its enchiladas and Texas toast, this beloved Austin bowling alley is where Mason Sr. takes his kids to bowl and catch up on their daily lives in Boyhood. Miller Outdoor Theater in Houston, Texas - one of the film locations of Boyhood. Image via Google. 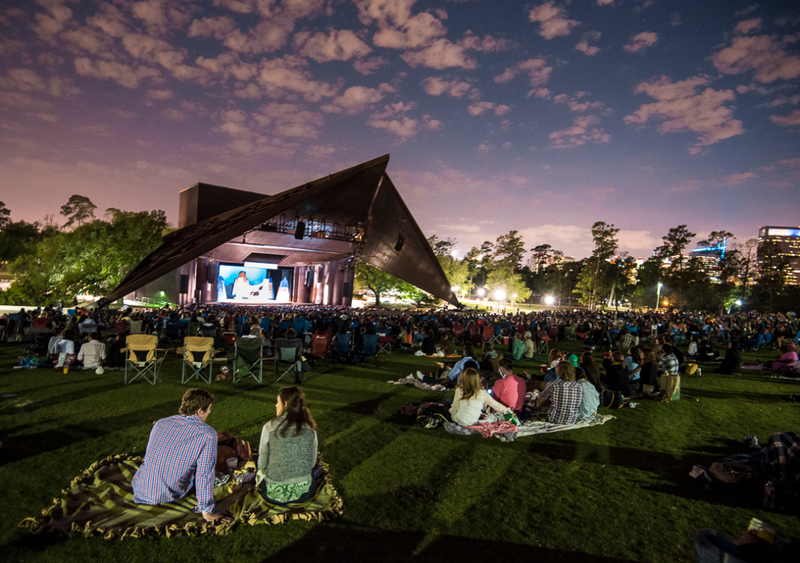 Miller Outdoor Theatre has been Houston's well-known venue for free outdoor performances since 1923. The theater is located in Hermann Park, near the Houston Zoo, the Garden Center and the Museum of Natural Science. Screenshot from Boyhood of a scene shot at the Miller Outdoor Theater in Houston where Mason Sr. plays football with his kids. In Boyhood, the Miller Outdoor Theatre is where Mason Sr. plays football with his kids before taking them to a Houston Astros baseball game later that evening. 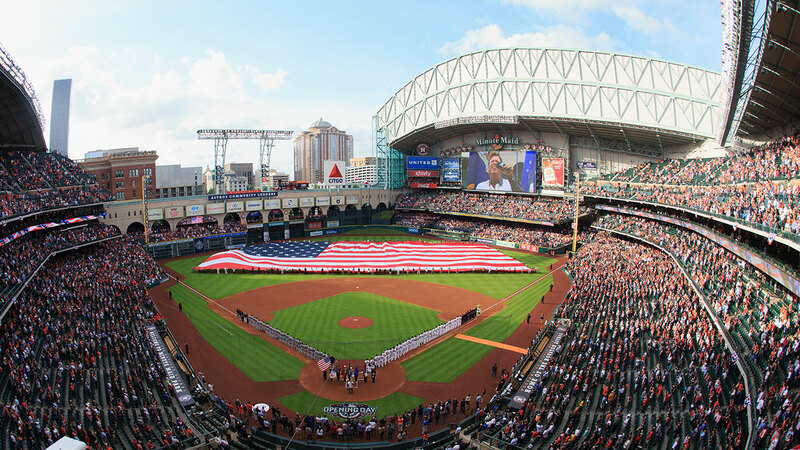 Opened in 2000, Minute Maid Park (formerly the Ballpark at Union Station, Enron Field, Astros Field) is a ballpark in Downtown Houston and home for the Houston Astros. Built as a replacement for the Astrodome, the first domed sports stadium opened in 1965. Named after the soft drink brand Minute Maid, Minute Maid Park features a vintage, full-sized locomotive running along 800 feet of track, a reflection of Houston's historical relationship with the railroads. Screenshot from Boyhood of a scene filmed at Minute Maid Park during a live baseball game. In Boyhood, Mason Sr. and his kids wrap up their fun day spent together with a Houston Astros baseball game at Minute Maid Park. In the scene, Richard Linklater catches his actors in a spontaneous, candid moment when a homerun is hit by a Houston Astro during the real-time filming of the live game. How exciting! Located 10 miles east of Johnson City, Texas, Pedernales Falls State Park is on the Pedernales River, 14 miles southwest Lake Travis. Before 1970, the park was part of a working ranch known as the Circle Bar Ranch. In 1970, the State of Texas purchased the land for the park and in 1971 Pedernales Falls State Park was opened. With water flowing over and around giant slabs of limestone, the Pedernales River is both turbulent and gentle, a perfect place to swim and relax among nature. Screenshot from Boyhood of a scene filmed at Pedernales Falls State Park with Mason Sr. and Mason Jr. as they go on a hike in the park. In Boyhood, Mason Sr. takes his son Mason Jr. on a hike in the park, also a popular camping destination in the Texas Hill Country. They spend some quality time in nature at Pedernales Falls State Park eating s'mores, swimming in the crystal clear water, and discuss everything from life to the cultural significance of Star Wars. Sul Ross State University is a public university located in Alpine, Texas. Founded in 1917, the school was named for former Texas governor and Civil War Confederate General Lawrence Sullivan Ross. Situated on 647 acres of land in the Davis Mountains, the university has a beautiful 93-acre main campus and a 468-acre working ranch serving its animal science programs. Screenshot from Boyhood of a scene filmed at Sul Ross State University featuring Mason Jr. as he parks his truck in the parking lot of the school. In Boyhood, Mason Jr.’s college career begins at Sul Ross State University. He moves into his dorm room there and meets his new roommate and his new friends.